The American Indian regarded the Coyote as a joker because of its highly amusing antics and habit of appearing to ignore the obvious. As a power animal, Coyote will teach you more about yourself and will help you to learn from your own mistakes. It can help you to smile at your own acts of foolishness, and not to take everything so painfully seriously. Coyote is concerned with breaking down the ego which is blocking your spiritual progress, and “tricking” you into things you may find difficult, but which are necessary in your development. Coyote encourages you to recognize that the mess you are in is largely your own fault. Ask Coyote to help you to look beneath the surface of the situation, and to see t he course of your own actions from a different perspective. When you can stop blaming others, blaming circumstances, blaming fate, or bad luck, Coyote will have taught you the lesson of the experience. Then, see the humorous side and laugh at your mistakes. Coyote will continue to dog you if you persist in making the same mistake again! There are thousands of myths and stories about Coyote, the great trickster. Many native cultures call Coyote the “Medicine Dog.” If you have pulled this card, can be sure that some kind of medicine is on its way – and it may or may not be to your liking. Whatever the medicine is, good or bad, you can be sure it will make you laugh, maybe even painfully. You can also be sure that Coyote will teach you a lesson about yourself. Coyote has many magical powers, but they do not always work in his favor. His own trickery fools him. He is the master trickster who tricks himself. Ho one is more astonished than Coyote at the outcome of his own tricks. He falls into his own trap. And yet he somehow manages to survive. He may be banged and bruised by the experience, but he soon goes on his way to even greater error, forgetting to learn from his mistakes. He may have lost the battle, but he is never beaten. Coyote teaches us the beauty of our trust and innocence until we become to serious, then Coyote backtracks to trick us out of the pompousness that masks our fears and seriousness. If we forget to be children and take life with laughter and ease, Coyote appears to pester us until we let go of the inner pain that keeps us from knowing the joys of life. Coyote is sacred. In the folly of his acts we see our own foolishness. As Coyote moves from one disaster to the next, he refines the art of self-sabotage to sheer perfection. No one can blindly do themselves or other in with more grace and ease than the holy trickster. Coyote takes himself so seriously at times that he cannot see the obvious. For instance, the steamroller that is about to run over him. That is why, when it hits him, he still cannot believe it. Go immediately beneath the surface of your experiences. Ask yourself what you are really doing and why. Are you playing a joke on yourself? Are you trying to fool an adversary? Is someone tricking you? When was the last time you did something just because it was fun? On the other hand, you may not be conscious of your own pathway to foolishness. You may have conned yourself, your family, your friends, or even the public at large, into believing that you know what you are doing. Perhaps you are balled up in your own machinations. You have created a befuddling, bewildering, confounding trick. Pick up the juggler eyes from the ground and put them back in their sockets. See through the genius of your acts of self-sabotage. Find it amusing and laugh. If you can’t laugh at yourself and your crazy antics, you have lost the game. Coyote always comes calling when things get too serious. The medicine is in laughter and joking so that new viewpoints can be assumed. 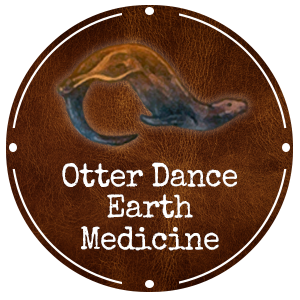 If you have Coyote medicine, you may use it make stuffy old fogies lighted up, or add cheer to a party, or to break a death-grip conversation with ease. Look at the positive side of sabotaging nosy question about your personal life. Have fun telling some gossiper that you just returned from St. Tropez in your new Lear Jet! Explore the present chaos. See life’s humor. Let go and laugh. Welcome the unexpected. Source: Sams, Jamie and Carson, David. Medicine Cards (Santa Fe: Bear and Company, 1988).